How can I get the IRS to release a levy when I have not filed my tax returns? Here’s the bad news: If you have not filed your return and you’re getting levied, the IRS is going to demand you file your return before they agree to release the levy. Now here’s the good news. By demonstrating that the levy is preventing you from paying your bills, the levy will be released without filing the returns. In the case of Vinatieri v. Commissioner, 133 T. C. 892 (2009), the United States Tax Court held that the IRS is required to release levies even if tax returns are not filed as long as the taxpayer can show that the levy is causing economic hardship. If you have not filed your tax returns, you’re not alone. Since 1998 Faith Firm has helped thousands of tax payers. Give us a call and we’ll ease your mind. To receive a free of charge tax problem analysis that may provide real peace of mind, give us a call. Or get the Faith Firm free book, How to Get Tax Forgiveness. How can I file back tax returns when I’m missing receipts, checks and documents? Yes. You are not required to be 100% accurate. You are not required to have every document, receipt, check and paycheck. These are myths. Start by asking businesses you worked for if they can send you copies of a 1099 or W-2. If they don’t have those records, contact the IRS at 1 800 829 1040 and request a computer printout with the income information from the years you did not file. The printout will show the minimum amount of income you must report on your tax return. Another method to reconstruct income is by IRS Form 4852, Substitute W-2. Attach it to the front of your tax return when you file. For missing 1099 income data, make your best estimate. There is no separate form for estimating 1099 payments. Bank account records may be available as well, but be careful so you don’t report loans, gifts, and sale of assets as income. As time passes, people forget the sources of payments and deposits. For example, I had a client who made a capital contribution to his business from another one of his businesses. The IRS claimed it was income. It was not income. We submitted a simple affidavit to put a stop the Agent’s foolishness. As far as expenses, the IRS permits good faith estimates. You can recreate expense habits even if direct records are inadequate. The IRS allows deductions to be reasonably recreated and estimated. For example, for business use of automobiles, determine how many miles were driven in a year and what percentage was for business. Calendars can be referenced to recreate a log of business trips. If a prior-year return was filed based on actual records, it can serve as a reference point to determine a range of expenses for other returns where records are missing or incomplete. When you’re ready to file, have your tax professional file at an IRS walk-in center. Do not mail the returns. Bring an extra copy of each return and have each return file stamped as proof of filing. It can take several months to process the returns. If you owe money, you can utilize the tax forgiveness solutions outlined in the free book, How to Get Tax Forgiveness. I have not filed my tax returns. What should I do? One. Get advice on whether you even have to file your back returns. The obligation to file a tax return is triggered by the receipt of taxable income in excess of the statutory filing requirement for the tax year in question. Thus, first determine if you were even required to file. Furthermore, the IRS will usually not chase non-filers six years after the filing due date. IRS Policy Statement P-5-133. Exceptions are where the government believes substantial underreporting of income or fraud were involved. Three. Remember that the 10 year time limit to collect starts with an assessment of tax. Unless you file a tax return, the time to collect won’t start. So it just makes good sense to get the right tax advice and sleep well at night knowing the IRS is not about to rear its ugly head! Get the Faith Firm free book, How to Get Tax Forgiveness. Or give us call! How can I avoid paying estimated quarterly payments? When you form a limited liability company (LLC), it is automatically treated as a “disregarded entity” by the IRS. One-member LLCs are taxed as sole proprietorships, and multiple member LLCs are taxed as partnerships. Business owners who operate as disregarded entities must pay quarterly estimated payments or be subject to penalties by the IRS. In my opinion, such classification does not offer the same tax benefits of an S corporation, but on the other hand the LLC requires less formality than an S or C corporation. So how can you have the best of both worlds? Step One: If you have not already formed an LLC, you can quickly create one, and use a tax professional to make sure you do it right. The LLC avoids many of the formalities of the S or C Corporation. Step Two: An LLC can elect under the check-the-box rules to be classified as a corporation. The LLC files the election to be taxed as a corporation on Form 8832, Entity Classification Election, and the effective date of the classification election on Form 8832 cannot be more than 75 days before the date on which the election is filed and it cannot be more than 12 months after the date on which the election is filed. In other words, the classification change can be retroactive for up to 75 days before the entity files Form 8832. If you need help with this or any other tax issue, call to discuss your situation initially free of charge, or get our free book, How to Get Tax Forgiveness. What can I do if the IRS denied my innocent spouse claim? If they deny your innocent spouse claim for relief. You have ninety days from the date of the final determination in which to file a petition seeking a review. While the ninety day is pending, and while the U.S. Tax Court case is pending, the IRS cannot take collection. If the IRS does not rule on your innocent spouse claim within six months, you can file a petition for review directly with U.S. Tax Court even without the IRS having made a decision. This prevents the IRS from engaging in delay tactics. Hire a tax lawyer who is specifically licensed in U.S. Tax Court. CPAs and Enrolled Agents are not licensed in U.S. Tax Court, and most lawyers are not either. If you have been raked over the coals by a former spouse, Faith Firm is here to help you! Get a free “I want to ease my mind” consultation or read our free ebook. Keep the faith! Now that your trouble maker spouse is out of your life, you can get the tax problem out of your life too! How do I avoid underpayment penalties for estimated tax payments? This is a constant issue for business owners and independent contractors. You’re required to pay the IRS quarterly, or you get hit with an expensive underpayment penalty. People often increase their income due to cashing in an investment or simply generating more income, but they fail to make adequate estimated tax payments. The underpayment penalty is also common with recently retired folks whose payroll income is replaced by pension and Social. As long as your payments to the IRS are equal to or exceed 90% of your current year’s tax liability, you will meet the safe harbor amount and avoid an underpayment penalty. In the alternative, choose a safe harbor amount that is calculated based on the tax liability you owed in the previous tax year. As long as your current year’s estimated tax payments are equal to or exceed 100% of the amount you paid the IRS the previous tax year, you will meet the safe harbor amount and avoid an underpayment penalty. If you are already facing an underpayment penalty or other tax problem with the IRS, it may not be too late to avoid forking over your hard earned money to the IRS. Call Faith Firm and let’s discuss how to resolve your tax issues. Or get the free book, How to Get Tax Forgiveness. My divorce agreement says my spouse is responsible for the tax debt, and the IRS is coming after me. What can I do? This is a frequent problem. You’re not alone. Financial obligations, bad marriages and divorce seem to meld together into an ugly, painful mess. The innocent spouse gets stuck holding the bag for the schmuck spouse that created the mess. Fortunately, the IRS offers a way out for the innocent spouse. If you have a divorce decree that states your ex is responsible for the tax obligations, that agreement has some influence with the IRS, and yet it is not going to make the tax problem just go away. The IRS will consider other factors like what you knew about the unpaid taxes, your involvement as an income earner, was there abuse, and how much you benefited from the income that created the tax liability for which the IRS is pursuing you. Furthermore, if you can show that your signature on the joint return was forged or that you signed the return under fraud or duress, the IRS will convert your joint liability to a separate one, and you will be off the hook for paying your ex spouses’ tax debt. And remember, other tax solutions are available if the innocent spouse solution doesn’t get it resolved. Consider tax solutions such as the offer in compromise, partial pay, hardship, bankruptcy and a collection time limit defense. Bottom line is there is no such thing as a hopeless tax case. Get a free copy of the Faith Firm book, How to Get Tax Forgiveness. Am I responsible for the tax of my ex-spouse? Not necessarily. Most married couples file one return together with both you and your spouse’s income and deductions on it. Tax problems occur when the IRS contacts you for under reported income, unpaid taxes, underpaid taxes, improper deductions, or some other issue on the return. Even if these issues were caused by your ex, the IRS will consider you equally responsible. Even if you later divorce, you can be on the hook. And even if a divorce decree states that your former spouse is responsible for any tax debt from previously filed joint returns, you can still be on the hook. However, here is the good news. You may be entitled to relief from your spouses’ liability if you can show the IRS that you are an “innocent spouse.” Innocent spouse relief is a fairness doctrine. It weighs several factors in determining whether, in fairness, the innocent spouse should be held responsible for the spouse who created the mess. We would be happy to discuss how you may qualify for innocent spouse relief. Get a free copy of the Faith Firm book, How to Get Tax Forgiveness. It will shed some more light on solving tough tax problems. Remember, there is no such thing as a hopeless tax case. Can I be held personally responsible for my employer’s unpaid payroll tax? Yes. Even if you don’t own the business or work in the business, the IRS can collect unpaid payroll withholding taxes from the business, the owners of the business, as well as officers, managers, supervisors and certain employees who had control over payroll or writing checks. Are you an owner of the business? Were you in control of the business’ financial decisions? Did you make the decision not to pay the IRS? Are you an officer or director? If you receive a visit from an IRS Revenue Officer, it’s vital you get an experienced, tough, clever tax attorney on your side. Get the Faith Firm free book, How to Get Tax Forgiveness. Or give us a call and we can discuss it initially free of charge. Peace of mind could quite literally be 60 seconds away! How do I deal with unpaid payroll taxes? An effective Trust Fund defense anticipates IRS enforcement action before it begins. It is vital to have a clear understanding of what action the IRS will take, before they take it. One strategy we use frequently is immediately getting the case out of the hands of a Revenue Officer by appealing to more agreeable IRS department. First, when it comes to trust fund tax, it’s “shoot first, and ask questions later.” The IRS is going to gather information to determine personal liability of the Trust Fund Recovery Penalty by using Form 4180, Report of Interview with Individual Relative to the Trust Fund Recovery Penalty. Take caution because this form is used to cast a wide net and hold as many individuals as possible personally responsible for the penalty. The IRS will quickly prosecute trust fund assessments even from individuals who should not be held liable. Second, make sure the IRS applies the payments toward the trust fund liability first. The IRS will collect the tax from the business entity, but apply the payment to the non-trust fund taxes because the IRS can later hold individuals personally liable for the trust fund portion. Remember that the non-trust fund taxes are compromised of the employer’s matching social security (FICA), unemployment compensation (FUTA) and Medicare fund. These matching contributions come from the employer’s resources, rather than deducted from employee paychecks. You have a right to designate how the payments are applied. Third, do not allow your emotions and wishful thinking to cloud your good judgment and dig yourself into a deeper financial hole. The IRS may attempt to shut down the business and force the sale of assets and receivables. You can resist this, but the IRS will not allow a business to continue without paying all current taxes on time and having a plan in place - backed by real numbers – to pay the delinquent liabilities. Fourth, make sure you know about all solutions to eliminate the penalties as well as the unpaid tax liability. For example, the IRS has discretion to not hold you personally responsible if you can demonstrate that payment of the trust fund recovery penalty will create hardship for you and your family. See Internal Revenue Manual § 5.7.5.1(2) and § 5.7.5.3.1 for further explanation of trust fund defenses. Get the Faith Firm free book, How to Get Tax Forgiveness. Or give us a call for a free “peace of mind” discussion. Trust fund taxes are those which are required to be withheld from the employee’s salary or wages for personal income tax and social security tax obligations. The IRS will assess a trust fund recovery penalty against any responsible person who possess control over the decision to divert withholding from the IRS. The trust fund recovery penalty is equal to the income taxes, social security taxes, and Medicare taxes withheld from employee paychecks. Owners, decision makers, check signers, managers, supervisors, officers, and directors are all fair game. It is not unusual for the IRS to erroneously assess penalties against numerous individuals and allow the individuals to fight over responsibility. Non-trust fund taxes are compromised of the employer’s matching social security (FICA), unemployment compensation (FUTA) and Medicare fund. These matching contributions come from the employer’s resources, rather than deducted from employee paychecks. 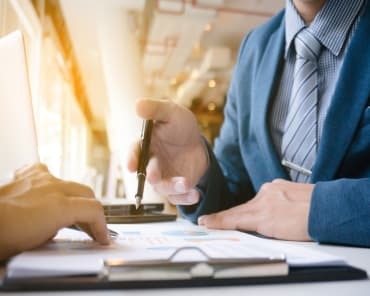 If you operate under a corporate entity, you are not personally liable for non-trust fund withholdings, but they can be collected from the business accounts and assets of the business. By all means, get a copy of the Faith Firm free book, How to Get Tax Forgiveness. It will shed some more light on solving tough tax problems. You pay creditors, including the IRS, as much as 100% and as little as 0%. What percentage you pay depends on [A] How much, if any, disposable income is left after deducting monthly expenses; and [B] The type of debt you are trying to eliminate. In Chapter 13, unsecured “non-priority” debt, such as IRS tax debt and credit card debt, may be paid a small fraction or nothing at all. Chapter 13 instantly stops foreclosure or repossession, and lenders may be forced to wait 60 months to get caught up on loan payments. You make payments to a Trustee, and the Trustee pays the bank the regular monthly payments as well as a monthly amount to bring the loan current over the time the Chapter 13 is open, which is typically 36 to 60 months. It’s also possible to “surrender” property, like a home or car, and pay the lender nothing. Example: Let’s assume you owe the IRS $100,000 in income tax for multiple years. $80,000 of your tax liability is old enough to discharge in bankruptcy, and $20,000 is not old enough. Even if you qualify for Chapter 7, you could file under Chapter 13 and discharge $80,000 of the tax, and yet pay the other $20,000 over five years interest free. Example: Your house is in foreclosure. You also have older tax debt that could be wiped out in Chapter 7. Even though you qualify for Chapter 7, you could choose to file Chapter 13 instead, and stop the foreclosure, save your home, and wipe out the tax debt. An experienced tax attorney will work with the client to create a “plan” that spells out exactly who gets paid and how much. And under certain circumstances it may be wise to start in Chapter 13 and later convert to Chapter 7. For example, if foreclosure forces you to file Chapter 13 to stop the foreclosure lawsuit, it’s possible to modify the mortgage after the case is filed, and dismiss the Chapter 13 case or convert to Chapter 7. Get a copy of the Faith Firm free book, How to Get Tax Forgiveness. It will shed some more light on solving tough tax problems. What are examples of tax relief through bankruptcy? It Has Eliminated More Tax in Less Time. Filing bankruptcy can be easier, cheaper and more effective than other tax solutions. For example, Chapter 7 takes four months and Chapter 13 takes thirty-six to sixty months to complete. On the other hand, an offer in compromise can take 24 to 48 months to be accepted and completed. It Has Stopped IRS Levy Actions Fast. Bankruptcy stops the IRS from taking further action. The instant bankruptcy is filed, the IRS has to back off. It Has Eliminated More Penalties. Chapter 13 can eliminate or reduce penalties because of the cram down provision. Chapter 7 can eliminate income tax, penalties and interest completely. It Has Neutralized IRS Revenue Officers. If you can’t get what you want by negotiating with a Revenue Officer, the bankruptcy code may force the IRS to do what you want, whether they like it or not. It Has Stopped IRS Audits. Filing bankruptcy may stop an audit. I’ve witnessed situations where filing bankruptcy terminates the audit process. It Has Leveraged a Better Settlement with the IRS. The Internal Revenue Manual permits the IRS to consider what the government would receive from an offer in compromise versus what they would get if bankruptcy was filed. A clever tax lawyer will submit unfiled bankruptcy schedules to make the offer look more attractive. It Has Eliminated Other Debt. Bankruptcy can resolve many financial problems at the same time! Tax, foreclosure, car loans, credit card debt, medical bills, and business debt can all be resolved in one bankruptcy filing. If you want more information on solving your tax problem using bankruptcy and non-bankruptcy solutions, get the free book, How to Get Tax Forgiveness. How can I qualify for tax relief using bankruptcy? Timing is everything when it comes to bankruptcy and tax relief. There are many rules that must be followed to eliminate tax debt. The rules can be confusing. Some taxes are dischargeable under the rules, and some are not. You can’t just file bankruptcy and expect the tax to disappear. However, by understanding the discharge rules under the bankruptcy code, and correctly applying the rules before filing, bankruptcy can provide – for some people – the fastest, least expensive way to get a fresh start. I urge you to get the right advice from the right professional who can advise you with reasonable certainty how bankruptcy can resolve your tax debt. Your financial future depends on it. Without getting into the gory details of the bankruptcy code’s timing rules, let’s keep it simple. If you have questions just give us a call. The general rule is that in order to eliminate IRS and state income tax, the bankruptcy must be filed three years after the return was due to be filed or two years after the return was actually filed, which ever date is later. Extensions are included in calculating the return due date. Example One: In order to qualify for a discharge of income tax debt through bankruptcy, assuming you file your tax return on October 15, 2007, you are eligible to file bankruptcy three years later on October 15, 2010. Example Two: Your 2006 tax return’s filing due date was October 15, 2007, but the return was actually filed late on July 30, 2009. The income tax from this return will not be eligible for a bankruptcy discharge until July 30, 2011, because it’s the later date of two years from July 30, 2009 or three years from October 15, 2007. Example Three: Your 2006 tax return’s filing due date was October 15, 2007, but it was actually filed late on May 15, 2008. The income tax from this return will be eligible for a bankruptcy discharge on October 15, 2010, because it’s the later date of two years from May 15, 2008 or three years from October 15, 2007. Exceptions to the Rule. Audits, offers in compromise, non-filing, appeals, and other events affect the timing of filing bankruptcy. Get the Faith Firm free book, The Truth about Tax Settlement and Alternative Tax Solutions. Or give us a call and we’ll talk! How does Chapter 7 eliminate IRS tax? IRS tax debts that qualify under Chapter 7 are discharged (eliminated). And other unsecured debt, such as state income tax, non-trust fund employment taxes, credit card debt, medical debt, and bank loans are also discharged. Home loans and car loans can be “reaffirmed” so that the loans survive bankruptcy and are paid according to the contract, or you can choose to “surrender” the property, pay nothing, and walk away. Now, one of the little known benefits for folks IRS tax debt is that they may more easily qualify for Chapter 7 than other folks. You see, usually to qualify for Chapter 7, you must qualify under a “means test” that compares income to reasonable expenses and determines whether you qualify for Chapter 7. In simple terms, if you make too much money according to the means test, you can’t file Chapter 7. The good news is that enough tax liability owed to the IRS may allow you to bypass the means test requirement because that requirement applies only to people with substantial “consumer debts” like credit card debt or residential mortgage debt. IRS taxes as well as business debt are not considered consumer debts. Therefore, if over half of your debt is non-consumer debt, like tax debt or business debt, the means test does not apply to you. Filing Chapter 7 instantly stops tax levies and other IRS collection. It also stops – permanently or temporarily – lawsuits, garnishments, foreclosure, and collection action. Chapter 7 lasts three to four months. There is usually no court appearance required, and you will meet with your attorney and trustee at a 341 hearing that lasts about ten minutes, where you will be asked very basic questions about your financial situation. 99% of my clients keep 100% of their property in Chapter 7. That’s because equity in personal property, real estate, and investments are protected by exemptions. For those who with excess equity, Chapter 13 is an alternative, as explained below. It may be wise to get a free copy of the Faith Firm book, How to Get Tax Forgiveness. It will shed some more light on solving tough tax problems using bankruptcy and other proven tax strategies. Get a free copy of the Faith Firm book, How to Get Tax Forgiveness. It will shed some more light on bankruptcy and solving tough tax problems. It’s not for everyone, yet for some people bankruptcy can quickly erase IRS and State tax income tax. The problem with bankruptcy is that many people fail to understand how the bankruptcy rules work along with the tax code. Even the smartest tax professionals get it wrong. Faith Firm gets it right. Using bankruptcy to obtain tax relief is not guess work for us. We have eliminated millions of dollars in tax debt since 1998. Three types of bankruptcy may prove highly effective in eliminating tax problems; they are Chapter 7, Chapter 13 and Chapter 11. Whether bankruptcy is right for you, and what chapter is right for you, is a question best answered by consulting with an experienced tax attorney. Can filing bankruptcy stop an IRS levy? Yes. For example, an IRS tax levy will come to a screeching halt upon the filing of a bankruptcy under Chapter 7 or Chapter 13 or Chapter 11. Filing bankruptcy triggers a federal court order called the “Automatic Stay” and even the IRS must back off once they get notice of a bankruptcy case number. Any collection by any creditor, including the IRS, must stop once the case is filed. Bankruptcy can be the equalizer for the honest citizen or business. Fair Warning! Make sure you hire a tax lawyer who knows the bankruptcy and tax code, and who has consistently used the bankruptcy code to eliminate IRS tax problems. And make sure your lawyer has the capability to file bankruptcy electronically because this will permit tax relief at any time of the day, 365 days a week. We encourage you to get the Faith Firm free book The Truth about Tax Settlement and Alternative Tax Solutions or give us a call and we can explain how it all works. Will the IRS send me notice that I’m uncollectible? Once the IRS deems the account uncollectible, letter 4223 or 4624C will be mailed to you. The letter states: “Case Closed — Currently Not Collectible.” The letter states the type of tax and the periods that are temporarily closed due to hardship. The letter states that the government may reopen the case in the future if the taxpayer's financial condition improves. Interest and penalties will continue to accrue. Keep in mind that hardship status can be permanent or temporary. After being classified as uncollectible, the IRS will once a year review your financial condition to determine if it has improved. Even if uncollectible status is temporary, it can ideally position you to work out a long term tax solution. Get a free copy of the Faith Firm book, How to Get Tax Forgiveness. It will shed some more light on solving tough tax problems using uncollectible status and other solutions. Will the IRS leave me alone if I’m uncollectible? The idea is to get the IRS to back off long enough so that the IRS’s time to collect expires. The IRS gets zilch, and that’s what you desire. The tax balance, interest, and penalties are wiped out. Keep in mind that while you are in uncollectible status, interest continues to add up. For this reason it is critically important that you and your tax attorney calculate the collection limits and make a determination whether the uncollectible status will be temporary or permanent. Again, even if uncollectible status is temporary, it can ideally position the permanently resolve the tax problem using other methods, like the offer in compromise or bankruptcy. Get a free copy of the Faith Firm book, How to Get Tax Forgiveness. It will shed some more light on solving tough tax problems using hardship and other tax solutions. If I am broke, how can I pay the IRS? You may not have to pay the IRS a dime if the IRS marks your account uncollectible. IRS authority for marking an account “uncollectible” is found in IRS Policy Statement 5-71, and it states that if after pursuing the collection process the IRS determines that the account is currently not collectible, this should be reported in order to remove the taxpayer from active collection. This is also called the hardship program. Currently not collectible status occurs when the IRS agrees that repayment would create an economic hardship. It is forbearance by the IRS, and a break from enforcement that can last years – or until the time expires for the IRS to collect the tax. Currently not collectible status is a permanent tax solution for many citizens when the status lasts long enough to “run out the clock” on the time allowed to collect the tax. Or it may prove to be a valuable temporary tax solution that provides much needed breathing room allowing the taxpayer to come up with a permanent solution, like bankruptcy or partial pay or an offer in compromise. So how do you become uncollectible? The IRS will look at your income, expenses and your property. After paying expenses like rent, car payment, medical expenses, food, etc., there is no money left to pay the government. And if you have little or no equity in your property, this factor weighs in your favor. People are uncollectible who don’t even know it. It’s an overlooked tax solution that many citizens should consider. Is a partial pay installment agreement better than an offer in compromise? It really depends on your unique financial circumstances. Some taxpayers qualify for an offer in compromise, while others don’t. Some taxpayers may quickly qualify for a partial pay plan and eliminate more tax debt than with an offer in compromise. Here are some comparisons you will find helpful. A partial pay agreement is accepted by the IRS in a relatively short period of time. It can take just a matter of months, not years, to get a partial pay deal done. Compare that to an offer in compromise that can take 18 months to get finalized. And once the offer is accepted, conditions must be met for five years after acceptance. Furthermore, the process to submit a partial pay agreement is less complicated. Your tax attorney creates financial statements and submits them to the IRS. Compare this to an offer in compromise which is a very formal, somewhat complex process. Once the partial pay agreement is approved, the IRS will review the agreement every two years. You or your tax professional will submit updated financial statements to the IRS. The payments remain the same, increase, or decrease. The partial pay agreement can also be terminated by the IRS or taxpayer. Example: Let’s say you $75,000 and we determine that the IRS has four years left to collect your tax debt. We negotiate with the IRS and get them to agree to take payments of $180 a month. By making payments of $180 a month for four years (48 months) you will pay $8,640. At the end of four years the collection statute of limitations runs out on the IRS. You are now tax debt free. You were effectively able to settle $75,000 for $8,640. Once the statute of limitations expires, the IRS will cease collection, you will stop paying the IRS, and the IRS will write off the tax you owe. Many of our clients have benefited from the Faith Firm free book The Truth about Tax Settlement and Alternative Tax Solutions. Or call us a for an initial free tax problem solving analysis. What if I don’t have enough monthly income to pay the tax through an installment plan? Did you know that the IRS permits some taxpayers to make minimal payments and never repay the tax? The government doesn’t promote this solution, and yet it’s benefited many of our clients. The taxpayer may eventually walk away free and clear of any further obligation to the government. This tax solution is called the partial pay installment agreement, or “partial pay” for short. Agreements that do not pay the IRS in full are permitted by the Internal Revenue Manual 5.14.2. Pursuant to Internal Revenue Code 6159(a), the IRS may enter into an agreement that allows full or partial collection of the unpaid tax liability. You don’t often hear about partial pay because neither the “tax resolution” companies nor the IRS promote it. For some clients, partial pay is the ideal solution. As long as you make the minimal payments, the IRS will leave you alone. To see other proven tax solutions, get the Faith Firm free book The Truth about Tax Settlement and Alternative Tax Solutions. The Offer Brings Hope. When our law firm submits an offer, our clients know there is an excellent chance that the IRS will settle for less. This brings hope and peace of mind. The Offer Brings Closure. If your offer is accepted, you pay the IRS, file your tax returns for five years, and it’s done. No more IRS in your hair, in your mailbox, and in your bank account. The painful loose end is closed. It’s nice to put it behind you. The Offer Stops Collection. Once your lawyer submits the offer, the IRS suspends collection. See Internal Revenue Code 6331(k): no levy may be made during the period that the offer is pending, for an additional 30 days after the offer is rejected, and during the time any appeal of the rejection is pending. And if the offer is accepted, the IRS will leave you alone for good! Streamlined Offer. If your total debt is $50,000 or less, you may qualify for a “streamlined” OIC, which is a quicker path to settlement, and receives less scrutiny from IRS examiners. You may gain a clearer understanding by calling us for a free tax settlement analysis or obtaining the Faith Firm free book The Truth about Tax Settlement and Alternative Tax Solutions. How can I boost my chance for success getting the IRS to accept my offer in compromise? Partial Pay Installment Agreement – You make minimum payments to the IRS, and the tax liability is never paid back. Currently Not Collectible Status – It can be temporary or permanent. Bankruptcy – If you qualify, bankruptcy wipes out income tax, penalties, and interest. Bankruptcy also instantly stops IRS collection, such as a levy. Penalty Abatement – After shrinking the tax liability by abating the penalties, you can file and offer in compromise. Using a Cookie Cutter Approach. Present to the IRS an impressive package of information in a logical, organized, complete and persuasive fashion. A cookie cutter approach hurts your chances to get the offer accepted. Ignoring the Bankruptcy Factor. Use the threat of bankruptcy to make your offer more attractive to the IRS. The Internal Revenue Manual allows taxpayers to compare what the IRS would receive from bankruptcy to what the IRS would receive from an accepted offer in compromise. Taking “No” for an Answer. Many offers are accepted on the second try. Appellate examiners are very helpful when you present your case in an organized, logical, and persuasive fashion. How do I know if I qualify for an offer in compromise? Now, where does the information used to arrive at these two numbers come from? It comes from you, the taxpayer. You or your tax professional will first collect and calculate the information. Before submitting this information to the IRS, your attorney will deduct all possible, allowable expenses and take all necessary and legal steps to minimize the value of assets. 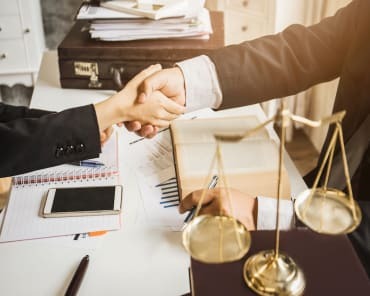 An experienced tax lawyer will then forward the necessary financial information to the IRS, and negotiate with the IRS in an effort to prove that the financial information constitutes the true RCP. The goal is to make RCP as low as possible and pay as little as possible. You’re attempting to create doubt as to collectability. This can be accomplished legally and above board by calling upon what is allowed within the Internal Revenue Manual and by deploying clever financial calculations. It’s vital to seek the help of a tax professional with a proven track record of success. For the straight truth about the offer in compromise and other tax solutions, get the free book, The Truth about Tax Settlement and Alternative Tax Solutions. How does the IRS value my assets and property in an offer in compromise? The reality is the IRS is not interested in stuff that cannot be easily liquidated, like clothing and furniture or even jewelry. As far as assets with liquidation value, there are clever, perfectly legal methods to minimize the value of property. Your tax lawyer will calculate “net equity” in in your home, car, household goods, investments, bank accounts, and other property. Net equity is the fair market value of the asset reduced by 20% to arrive at what is known as quick sale value. Any mortgages or bank loans will reduce the quick sale value by the balance owed on the loan. And keep in mind that “fair market value” can be a broad standard and determining what is FMV may be successfully negotiated with the IRS. Now, in order to keep RCP as low as possible, your tax professional must calculate all property exemptions allowed within the Internal Revenue Manual. The exemptions are allowed on public policy grounds to protect the value of basic necessities and assets necessary to make a living or operate a business. For example, even though tools and machinery may have liquidation value, these assets may be exempt from calculating RCP because it’s needed to allow the citizen to earn a living and operate a business. You may gain a better understanding by calling us for a free tax settlement analysis or obtaining the Faith Firm free book The Truth about Tax Settlement and Alternative Tax Solutions. Is an offer in compromise right for me? The offer in compromise is a life jacket for many Faith Firm clients. However, before you make a decision, get the facts from a qualified professional who will advise you on your unique situation. Section 7122 of the tax code allows the IRS to “compromise” any civil or criminal tax liability on specific grounds – yet not all citizens fit the code’s criteria. Do you qualify? The radio ads make it sound like everyone is successful. That’s 100% baloney. According to the IRS, the offer in compromise does not work for the vast majority of taxpayers. However, if the offer in compromise is not right for you, another solution will be right for you. Are you prepared for the time required to get the offer processed? It takes 4 to 6 months to assign your offer to an investigator. After the investigator is assigned, it takes 3 to 6 months to complete the investigation. Then it can take another 12 months to get final acceptance. Upon final acceptance you are allowed up to 2 years to pay. However, you pay more to the IRS if you need more than 5 months to pay the accepted offer. If your offer is rejected, and an appeal is filed, then tack on another 6 to 12 months. Conditions may apply. Every offer in compromise has a five year probationary period attached to it. You have to stay current with every tax filing and payment obligation for five years following acceptance. If you fail to abide by these terms, the IRS will keep the money you paid, and you will end up back where you started – deep in tax debt. Can you simply “run out the clock” on the IRS? The ten year statute of limitations is put on hold while the offer is pending. For example, if you submit an offer when there is only 2 years left to collect, and it takes a year to process the offer, the IRS will still have 2 years to collect if the offer is rejected because the time to collect is suspended while the offer is pending. Look at every tax solution, not just the ones hyped on the radio. For more information, get the free book, The Truth about Tax Settlement and Alternative Tax Solutions. What IRS program do they advertise on the radio? It’s called the “offer in compromise” (OIC) and it’s available to virtually anyone who owes the IRS back taxes. The idea is to settle with the IRS for less than the full tax liability. When you make an offer to the IRS to pay a specific amount of money, and the IRS accepts your offer, you are entering into a contract with the government. Terms and conditions apply to both parties – you and the IRS. An experienced IRS tax lawyer can negotiate for the taxpayer the most favorable terms possible. The offer in compromise has been a life saver for many Faith Firm clients, yet it’s not for everyone. The vast majority of our clients are “success stories” because we solve their tax problems using a variety of methods, not just the offer in compromise. It’s vital you consider all IRS solutions if you desire permanent IRS relief. Offer in Compromise Success. Getting the IRS to accept an offer in compromise requires knowing whether you have a reasonable chance of success before the offer is submitted. When we represent a client, we will quickly determine if a reasonable opportunity for success exists. We know what the IRS is looking for, and if our client has the right stuff to get the offer through. Think of it like knowing the answers to a test before you take the test! If the offer in compromise won’t work, other programs will work. There is no such thing as a hopeless tax case. There is always a solution, yet it may not be the solution we initially considered. Unfortunately, “tax resolution” companies sell vulnerable citizens on tax programs doomed to fail, but they couldn’t care less. The scammers get their fee and that’s all that matters to these sales and marketing companies disguised as tax professionals. That’s not what I want for you, and I know that’s not what you want for yourself. We encourage you to get the free book, The Truth about Tax Settlement and Alternative Tax Solutions. However, the program is not for everyone, and taxpayers are misled into thinking otherwise. By the IRS’s own statistics, the vast majority of taxpayers have not benefited from the program. Tragically, thousands of U.S. taxpayers have been scammed by the so-called “tax resolution” companies that make it sound easy to negotiate with the IRS. In fact, it’s not easy at all. That’s why according to the IRS, the vast majority of offers to settle are rejected by the IRS. Lost in the fanfare of the fresh start program are proven alternative tax solutions. These are the solutions the tax resolution companies won’t tell you about because they are not licensed to offer them, or they are not competent to undertake them on a taxpayer’s behalf. The bottom line is you need to know all tax solutions, not just the ones the tax resolution companies have reduced to a marketing sound bite on the radio. For the straight truth, get the free book, The Truth about Tax Settlement and Alternative Tax Solutions. Can I sell my personal property if I received notice of a tax lien? Probably. Even though the IRS lien attaches to all property as well as real estate, exceptions known as “super priorities” permit the sale of cars, boats, motorcycles, personal property, and securities if the buyer is unaware of the lien. The seller can keep the sale proceeds, but the IRS can try to levy the proceeds if reachable. However, the savvy taxpayer can use legal strategies to protect the sale proceeds from levy. With real estate, the lien affects it differently. You may be prevented from selling real estate if the lien has been perfected in the county recorder’s office or register of deeds. The lien must be filed in the county in which the real estate is located, not where you live. For more information on how to resolve an IRS tax lien, get the free book, How to Get Tax Forgiveness. How can I eliminate an IRS tax lien? First, did you receive IRS Form 668, which is the Notice of Federal Tax Lien? The IRS must notify you within 5 business days after it files the lien by providing you with that notice. The notice may be mailed, given to you, or left at your home or office. You have 30 days, after that 5-day period, to request a Collection Due Process Appeal. If you recently received notice, and 30 days has not expired, you should immediately appeal. Lien Release. When a lien is released, it no longer encumbers title to the property. Federal tax liens are released when the tax liability is paid or the time limit to collect the tax expires. The expiration date is found on the face of the lien. Yet when the IRS releases a tax lien, the citizen’s credit report still shows a tax lien with a “-0-” balance. That’s a negative narrative that remains on credit reports for 7 years from the release date, and it will lower the taxpayer’s credit score as long as it’s reported. Lien Withdrawal. When a lien is withdrawn by the IRS, it’s as if the lien never happened. The lien no longer affects title to property and by operation of federal law the lien is deleted from all three credit reports – Experian, Trans Union, and Equifax. The IRS will withdraw the lien for one of four reasons. A clever, experienced tax lawyer can argue that one or more of these reasons apply. How do I remove an IRS tax lien from my property and my credit reports? If you successfully negotiate the withdrawal of the tax lien, by operation of federal law any mention of the lien must be deleted from all three credit reports – Equifax, Experian and Trans Union. The good news is that there is more than one way to eliminate an IRS tax lien, and get the IRS to withdraw the lien, as if it never happened. Here’s a summary of strategies that have proven effective for Faith Firm clients. The Tax Lien Was Filed In Error. When the IRS agrees to withdraw the lien due to its own error, this should be accomplished with as much fanfare as the lien was filed. The certificate of release should clearly state the lien was filed in error. The lien should be deleted from all three credit reports. You can even provide the IRS with the names and addresses of companies and people you want notified of the screw up. See Code §6326(b). Enter into an Installment Agreement Where as a Condition the Lien is Withdrawn. You negotiate that the IRS withdraw the tax lien by entering into an installment agreement for you to pay the tax in full. Offer in Compromise. If you reach an offer in compromise agreement with the IRS, the IRS should be required to withdraw the tax lien upon payment of the offer. Lien Subordination. The citizen obtains financing of real estate, and the IRS permits the lender to “step over” the lien position in exchange for payment to the government. Sale of Property. You work a deal to get the IRS to withdraw the tax lien upon sale of the property. Code section 6325(a)(2) authorizes the IRS to release a tax lien within thirty days of being provided with a bond for the tax. Property Double the Amount of the Tax. Under code section 6325(b)(1) the IRS may discharge or release a portion of the property subject to the lien if the fair market value of the property remaining subject to the lien is at least double the sum of the amount of the unsatisfied liability. You may gain a better understanding by calling us for a free tax lien analysis or obtaining the Faith Firm free book How to Get Tax Forgiveness. Can the IRS take my 401(k)? Before the IRS can go after your assets, you will be given the option of paying your tax debt. The IRS will likely first place a federal tax lien on your 401(k). The federal tax lien puts the world on notice that you owe the IRS. Next, the IRS will issue a notice of intent to levy your wages or bank account. After the notice of intent to levy is issued, the IRS will issue a notice of levy on the 401(k) plan. If the IRS places a notice of intent to levy on your account, it is vital you take action or you risk losing your retirement. The good news is you have options to deal with the tax, so don’t wait. If you are the target of the IRS, the most important step you can take is to immediately get the advice of an experienced, tough, clever tax lawyer. Attempting to go solo without legal guidance puts you at a substantial disadvantage. And getting the wrong advice can make it even worse. You may gain a better understanding by calling us for a free tax defense analysis or obtaining the Faith Firm free book The Truth about Tax Settlement and Alternative Tax Solutions. Can the IRS levy my corporate account or go after my LLC or corporation? [B] The IRS obtains a charging order. However, the IRS can intercept income paid from the corporate entity to the responsible individual. This raises an interesting and much more involved discussion of how to legally use corporate entities to shield assets and income from creditors, including the IRS. Feel free to contact us on this subject. You may gain a better understanding of how to protect your assets and solve your tax problem by calling us for a free tax analysis. Or get the Faith Firm free book The Truth about Tax Settlement and Alternative Tax Solutions. How do I stop an IRS levy? The first question is: are you being levied now? Recognize that once the IRS issues a final notice, a thirty day period begins, and the IRS cannot levy until the thirty days expire. So you may have time to prevent the levy from starting if you take immediate action. File a Collection Due Process Appeal (CDP). It gets your case out of the hands of a Revenue Officer and into the hands of an Appeals Officer who, with your lawyer, can explore collection alternatives. You have 30 days from the date of the final notice to file the CDP. File an Equivalent Hearing. If you blow the CDP deadline, you can request an “equivalent hearing” that essentially performs the same function as a CDP except there is no right of appeal to U.S. Tax Court. Enter into a Streamlined Installment Agreement. A repayment plan can prevent or stop an IRS levy. The “streamline” installment agreement requires no financial disclosure as long the tax liability is $50,000 or less and the debt can be paid in 72 months or less. Once the installment agreement is in place, the IRS will put the brakes on a levy. TIP: Have your tax professional request the IRS tax transcript because it will reflect the amount the IRS will use to determine if you qualify for a streamlined agreement. For example, if the original tax owed was $35,000, yet because of penalties and interest it has ballooned to over $50, 0000, the citizen may still qualify. Enter into an Installment Agreement. If you owe more than $50,000, the installment agreement process takes longer and it must be negotiated and approved by the IRS. Only after the IRS agrees, will the levy stop. Get a Taxpayer Assistance Order. If a levy would create an undue hardship for the taxpayer, you can seek an order preventing collection while your case is investigated and alternative solutions are considered. File Bankruptcy. The filing of bankruptcy instantly triggers a court ordered injunction called the “automatic stay.” All creditor action, including IRS collection, must ceases. Offer in Compromise. If you have filed an Offer in Compromise, the IRS cannot levy or seize assets while the offer is pending, and during any appeal of the OIC. However, the IRS can file a Notice of Federal Tax Lien while the offer is under evaluation. Can the IRS take my wages or bank account? How much can the IRS levy? Yes, when the IRS issues a Final Notice, your wages and personal bank account are fair game. The IRS can later seize other property, such as real estate or a 401(k). A tax lawyer possesses several tools to stop a levy once one starts. A wage levy attaches to your paycheck and transfers it to the IRS after deducting tax withholdings and exemption amounts, which are far from generous. Complete the exemption form that is included with Form 668-W, Notice of Levy on Wages, Salary or Other Income, which is the levy form issued to your employee. See Publication 1494. Unlike wage levies, the IRS can levy your entire bank account. However, you have a 21 day waiting period from the time the levy is issued until the time the bank pays the IRS. It’s vital you negotiate an alternative collection method during this time, and I suggest you get a tax professional on board who will take immediate action. It’s also critically important to understand that IRS can only levy what is in the bank account the day the levy is issued. For example, if on the 10th of the month the IRS issues a levy and there is $100 in the account, they get $100. If the next day $2000 is deposited in the same account, it is not subject to levy. Even so, banks routinely freeze the entire account, and that is wrong. If this happens to you, sign a release directing the bank to pay only the funds in the account on the levy date. The bank should then un-freeze the account. For a free analysis of your tax case, call us or get the Faith Firm free book The Truth about Tax Settlement and Alternative Tax Solutions. What’s an IRS tax lien and IRS levy? Technically, a lien is created when the tax debt is assessed. The lien becomes perfected when a Notice of Federal Tax Lien is filed in the county in which your property is located. A tax lien is like a mortgage because it prevents you from selling property until the tax is paid. It show ups up on title to your real estate, and it’s reported on your credit reports. Wage and bank levies are perhaps more crushing to the taxpayer than a lien. An IRS levy seizes bank accounts, wages, disability checks, cars, and other property – to pay the delinquent tax. You have rights to defend the filing of a lien. And steps can be taken to prevent or stop the issuance of a levy. To successfully assert your rights and protect your property, it is important to be armed with every legal collection defense available. If you would like to know more about how to defend against IRS collection and eliminate tax liability, get the free book, How to Get Tax Forgiveness. What should I do if I received an IRS summons? The IRS summons is used to gather information concerning income and assets of delinquent taxpayers and businesses. The IRS also serves summons on people who fail to file tax returns or are not cooperating with the government. If you receive a summons from the IRS, you must act in accordance with the law, but you still have rights, and you may be able to contest the summons, or parts of the summons. For example, the IRS can request that you produce records as part of the summons, and yet the IRS cannot require that you create any documents or prepare returns that were not in existence on the date the summons was issued. Furthermore, you may claim privilege where advisable, and not comply on that basis. If the summons is overly broad, you can contest it on the grounds that it constitutes an unreasonable search and, therefore, is unconstitutional. Finally, keep in mind that if the IRS obtains a judicial enforcement of the summons, you can appeal the decision via due process appeal and get the matter into an Appeals Division. Or later into U.S. Tax Court. Ultimately, how best to respond to a summons will depend on your particular facts and circumstances. In order to avoid issues with the IRS, it is important to seek the assistance of a tax attorney who will guide you step by step. Call us for a free tax problem solving analysis. And many also benefit from our free book, How to Get Tax Forgiveness. An IRS Revenue Officer showed up at my business, what should I do? You should immediately contact an experienced tax lawyer that can handle the matter. Remember, IRS Revenue Officers are the most experienced and skilled collection employees working for the IRS. They work substantial tax liability cases. Revenue Officers target business owners, businesses, employment tax liability offenders, repeat offenders and non-filers. They operate from a local IRS office within driving distance to your home or business. If your case has been assigned to an IRS Revenue Officer, you can expect an unannounced visit to your home or business, and it’s not unusual for them to show up on a Friday or before a holiday. If you are not present, they will leave a card requesting that you contact them by a deadline. If you do not respond, you can be summoned to appear before the IRS, and they may simultaneously seize your wages, bank accounts, retirement accounts, receivables and other property. You do not have to let the IRS revenue officer into your home or business. Don’t be intimidated, and call a tough tax lawyer who will protect your legal rights. You do not have to speak with a Revenue Officer. You can have your tax lawyer do the speaking for you – he or she will know what to say, and what not to say. You do not have to sign any document they put in front of you. Seek a tax professional before signing any document, or agreeing to any terms. You do not have to accept their initial offer. The IRS is not looking after your best interests. Their first offer is quite often not their best offer. And if you want an “IRS heavy hitter” who will protect your financial interests, give us a call! What if I ignore an IRS Revenue Officer? IRS problems do not just go away, and neither do IRS Revenue Officers. These guys are the IRS’s most experienced, most sophisticated collection employees. They undertake intensive, high priority investigations. They don’t mess around, and if you ignore them, the consequences can be swift and painful. They can demand your appearance at a local IRS office. The IRS can garnish your wages. The IRS can wipe out your bank account. The IRS can seize your house, car, land, and other property. The IRS can seize your investments, such as your 401(k). The IRS can shut down your business and sell the assets. The IRS can report a tax lien as a public record for the whole world to know. The IRS can report the tax lien to all three credit reporting agencies. They can make a criminal referral. Fortunately, with the help of an experienced lawyer, you can resolve your tax problem and experience peace of mind. To learn more, check out our free book, How to Get Tax Forgiveness. Who are IRS Revenue Officers and IRS Agents? If you have an issue with the IRS, you may deal with a number of IRS personal with different titles. Here are the main guys and gals working for the IRS. Revenue Agents Conduct Audits. Also known as “IRS Agents”, these IRS employees determine if the tax return is correct. IRS Agents have no collection power. They may request a meeting at your business, home or IRS office. Revenue Officers Collect Money. They carry a badge. They are authorized to levy wages, bank accounts, and personal property. The first contact with a revenue officer may be an unannounced visit to your home or office. You should cooperate with them, but you are under no legal obligation to allow them into your home or office. Their favorite targets are self-employed business owners, high income earners, non-filers. Offer Examiners and Offer Specialists. They review your offer to settle tax debt, and they communicate with you or your tax professional in the process of determining whether to accept or reject your offer. Appeals Personal. The right of appeal is the most powerful tool available to the taxpayer. Your appeal will go to an appeals office consisting of one or more groups of Appeals Officers, each group supervised by an Appeals Team Manager. In my opinion, appeals personnel are among the most dedicated, most technically proficient individuals within the IRS. Appeals Officers are usually senior Revenue Agents or Revenue Officers who have demonstrated an ability to resolve cases on an agreed basis. IRS Special Agents. They investigate tax fraud, non-filers, underreported income, and concealing income. If you are under investigation, you will probably be the last to know. If you are contacted by a Special Agent, keep quiet and let your attorney to do the talking. If any of these IRS personal contact you, let us know, and we’ll discuss how you can resolve the situation. Call us for a free tax defense analysis. Many of our clients also benefit from the Faith Firm free book, How to Get Tax Forgiveness. What happens if I don’t pay the IRS when I file my return? When you file your tax return and you don’t pay the tax due with the return, the IRS is going to “assess” the tax, and immediately begin collection. The collection process starts with computer generated notices. If you ignore the computer notices long enough, people from the IRS get involved, and it can get nasty. Summons or Subpoena – The IRS may issue a summons to compel your cooperation with an IRS investigator, including giving testimony or providing records. If you receive a subpoena or summons, CALL a lawyer! The first three notices do not involve a person from the IRS. These notices are strictly computer generated. However, by the time collection gets to the Final Notice it’s no longer being handled by a robot, and it’s advisable to consider hiring an experienced tax lawyer. The IRS is going to start garnishing wages and seizing bank accounts and filing public tax liens against real estate and other property. It can really get ugly from this point forward. If you fail to take action, you could end up in a world of hurt, and in some cases taxpayers are charged with criminal conduct. To learn more, check out our free book, How to Get Tax Forgiveness. How can I eliminate interest on tax? If you are looking to only eliminate the interest added to the tax liability, this requires a focused approach. The Internal Revenue Code authorizes abatement of interest under limited circumstances. Internal Revenue Code section 6404(e) provides only two conditions under which interest is forgiven: (I) unreasonable error by the IRS, or (II) unreasonable delay by the IRS. In the Senate Report on the first Taxpayers’ Bill of Rights Act, Congress stated that interest should be abated where failure to do so would be considered as “grossly unfair.” Therefore, your case must stress that the interest is fundamentally unfair. Examples of interest elimination: (a) The IRS failed to notify you of a tax due for months or years and interest accrued during that time through no fault of yours. (b) The IRS misapplied payments to your account. (c) The IRS sent correspondence to the incorrect address. (d) The IRS lost documents. (e) The IRS gave erroneous written advice, on which you relied, costing you interest. Complete Form 843 to eliminate interest. On the form cite Internal Revenue Code section 6404(e) if your request is based on IRS error or delay. If your request is based on erroneous advice by the IRS, cite section 6404(f). Include all written correspondence from the IRS and supporting documentation. Mail Form 843 and attach your written demand letter. Never send originals. Mail by certified mail to the Interest Abatement Coordinator at the service center where your returns are filed. Keep copies! Now, as with just about every tax problem, there is more than one way to solve the problem, and that includes how you go about dealing with interest. Consider other solutions like bankruptcy and an offer in compromise and partial pay to resolve interest as well as the penalties and tax liability. Do you have examples of good faith and reasonable cause to eliminate IRS penalties? You’re new to being a business owner and did not know you had to make quarterly estimated tax payments. The penalties are abated because the IRS takes into account ignorance of the law based on your rookie status. You suffer from severe depression and you file your return late. Depression is a recognized medical condition affecting how people feel, think, and behave. This illness can interfere with normal day-to-day activities, such as filing tax returns or paying bills on time. With the request for abatement, document your condition with a letter from a medical professional. You rely on the advice of a CPA to make a deduction that is later disallowed by the IRS. A so-called accuracy penalty is imposed. Your request for abatement is based on detrimental reliance of a professional. Surgery prevents you from filing your return on time, and you are assessed a late filing penalty. Explain your medical condition to the IRS, include documentation. Serious financial issues due to job loss prevent you from paying on time. This may constitute good faith and reasonable cause. A fire or flood destroys documents needed to prepare your tax return. Again, document your loss. Your father got sick and you had to travel to another state to care for him. You did not file on time or pay the tax because of this unexpected event. You adopt a son. His last name was changed to your last name. You claim your son as a deduction, but the IRS disallows it and sends you a deficiency notice with penalty and interest. This is cause for elimination of penalties and interest. Call us for a free penalty elimination analysis. And many also benefit from our free book, How to Get Tax Forgiveness. How can I eliminate IRS penalties? Taxpayers can negotiate an “abatement” of the penalties. The term “abatement” or “abate” refers to penalty elimination. Under certain circumstances the IRS may agree to abate penalties where “good faith and “reasonable cause” exist. Good faith means your actions, even in error, were not intended to break the law and you possessed a sincere belief you were acting properly. Reasonable cause means that, by applying common sense and considering existing circumstances, you had good reason to act, or good reason for your failure to act. Use the Right Documents and the Right Message. Use Form 843 as your cover page and complete all information requested. Where it asks for a reason write “See Attached Letter” and then attach your letter to Form 843. Include supporting documents. Keep the originals, and mail the copies by certified mail to attention of “Penalty Abatement Coordinator” at the service center that issued the penalty. Affidavits may Help Persuade the IRS. Tax attorneys use a very simple document to establish facts. It’s called an affidavit. It is simply a written statement of facts, sworn to and signed before a notary public. Where the IRS has no evidence to the contrary, an affidavit may force the IRS to accept an adverse position as true. A few key words can literally prevent financial ruin. Don’t Take No for an Answer. You have 30 days from the date of denial to appeal the decision. Experience, persistence and understanding the process at each level get results. Other penalty solutions exist as well. Taxpayers can wipe out penalties through bankruptcy, or an offer in compromise, or claiming hardship or entering into a partial pay installment agreement. You see, there is usually more than one solution to deal with a tax problem. For more information, get our free book, The Truth about Tax Settlement and Alternative Tax Solutions. How should I respond to an IRS correction notice? IRS uses approximately three hundred computer generated form letters to notify taxpayers of various alleged errors. Most of us just accept the letter and pay the tax. Yet you don’t have to agree with the allegation in the letter, and there is an embarrassingly simple way to defeat an IRS correction notice. Successfully defeating a correction notice is easy and automatic. Under code section 6213(b)(2) you have sixty days from the date of the correction notice to send a request for abatement, and the IRS must abate the assessment if you do this right. Period. If after receiving your request, the IRS really wants to pursue the issue with you, they can, but it must be pursued through the normal deficiency process. And if this occurs, you can challenge the IRS again through other means. However, in at least half of the cases where the taxpayer challenges the correction notice with an automatic request for abatement, the IRS just goes away. Fair Warning. Do not call the IRS. You must write them or you can expect to be frustrated and left without relief from the problem. Put the request in writing and send it certified mail. Make copies, too! The IRS loses stuff all the time. Many of clients and non-clients benefit from our free book, How to Get Tax Forgiveness. What are my IRS audit rights? You have a right to an attorney appear for you at the audit, speak for you at the audit, and negotiate for you at the audit. That attorney can be the point of contact for the IRS and work with the IRS to provide documents. So you don’t have to speak with the IRS in most cases. The IRS cannot require you to show up for an audit at any time and place they wish. The agent can’t arrest you or seize your assets if you do not appear. You do not have to allow the IRS into your home or office. You can record an audit. You must give the IRS 10 days’ notice before the audit. You can adjourn the audit and reconvene later. Even if a citizen fails to appear at the audit, the audit findings can be challenged in tax court. You can prove expenses and deductions without receipts. See Cohan v. Commissioner and Gizzi v. Commissioner. If it boils down to your word against the IRS, cleverly crafted affidavits can be a simple, yet powerful tool in tipping the scales in your favor. You can negotiate what is included in the audit’s findings before the findings are made final. In other words, if it’s clear you are going to owe the IRS based on uncontroverted audit findings, you may negotiate a lesser amount with the agent. The agent’s own job pressures to get your audit wrapped up ASAP may motivate them to cut a deal. You do not have to agree with the IRS agent’s findings. You can present more information, and ask to meet with the supervisor. If that does not work, you can appeal to tax court. Audit findings may reconsidered on appeal within the IRS. If that fails, petition the United States Tax Court for an independent review. You may find greater peace by giving us a call to discuss your situation initially free of charge, or get our free book, How to Get Tax Forgiveness. What are the different types of audits? Correspondence Audit. By the far the most common. It’s the IRS asking for documentation relating to specific items on your return, and you communicate by mail. Office Audit. The IRS invites you to their office to review your return. You will meet with a revenue officer (also known as a tax auditor). Field Audit. The IRS wants to come to your home or business and review documents and look around. Amount of income. Example: gross income. Reduction to income. Example: mortgage interest. With an audit, the IRS focuses more on “A” than “B.” Even though the stated purpose of an audit is to verify that your tax return is correct, the reality is that an audit is an IRS collection tool. That’s where you may need to put your foot down with the IRS Agent, and control the audit. Therefore, it’s vitally important to know your taxpayer rights if you are subject to an audit. Our clients are astonished – and pleasantly surprised – to discover how they may be protected in an IRS audit, and how the scope of an audit can be limited by applying those protections. Call us for a free tax audit defense analysis. You may also discover peace of mind through our free book, How to Get Tax Forgiveness. I received an IRS audit notice, what do I do? First, relax! An IRS audit causes worry, anxiety, fear of the known, and concern over saying something that could inadvertently hurt you. The IRS wants you to feel that way. Yet you have rights – a lot of them. One of your most important IRS rights is that of legal representation. A tax lawyer can represent you at the audit. Once you have retained a lawyer, all IRS calls and correspondence will go through him or her. A tax lawyer knows what to say, and just as importantly, what not to say. He or she will know what documents to produce, and just as importantly, what can be withheld legally. Tough tax lawyers usually handle all the talking, writing, documents and negotiations with the IRS agent. And if it is absolutely necessary to invoke the participation of the client, the process will be planned and controlled. You may find clarity by giving us a call to discuss your situation initially free of charge, or get the Faith Firm free book, How to Get Tax Forgiveness. Is a payment plan with the IRS a good idea? A payment plan with the IRS is known as an installment agreement. And for some folks facing mounting tax liability, an installment agreement with the IRS is the right solution. If accepted by the IRS, you will make monthly payments and the IRS will leave you alone. Unfortunately, the IRS does not allow taxpayers to enter into installment agreements at no cost. Fees are associated with installment agreements, and penalties and costs associated with the installment agreement may make an installment agreement the most expensive choice. Keep in mind that different types of installment agreements are offered by the IRS. For example, there is a “streamline” agreement for taxpayer’s whose original tax liability was $50,000 or less and which can be paid back in 72 months. There is even an installment agreement where partial payments are made and most of the tax liability may be forgiven. Now, for more information on this and other tax problem solutions, call to discuss your situation initially free of charge, or get our free book, How to Get Tax Forgiveness. What can I do if I don’t agree with the IRS? Virtually every IRS decision can be appealed or challenged. Audit findings, installment agreements, offers in compromise, and penalty assessments can be appealed. Appealing IRS collection will put the brakes on liens, levies and seizures. Collection Due Process Appeal (CDP). The CDP is the most powerful method to defend against enforced collection. Collection due process rights include participation in a hearing to explore collection alternatives such as an offer in compromise or payment agreement. Even the tax liability itself can be challenged in a CDP. The appeal is a fresh look within a division often more receptive to resolving the tax problem than a stubborn Revenue Officer. You are allowed 30 days from the date of an IRS final notice to file a CDP. Equivalent Hearing. If a levy or lien started and the 30 day deadline to file a Collection Due Process hearing was blown, the alternative is to request an Equivalent Hearing. An Equivalent Hearing is similar to a CDP, although in the event the taxpayer is not successful, it’s the end of the line, and unlike a CDP, an appeal to U.S. Tax Court is not permitted. United States Tax Court. This court is the “great equalizer” for citizens and businesses facing IRS problems. Without our tax court, the IRS would be invulnerable to checks and balances on its power. For example, if you are not successful at a Collection Due Process hearing, or if you receive a Notice of Deficiency that you owe tax, these decisions can be appealed in the United States Tax Court. Or if you are denied innocent spouse relief, you can appeal in U.S. Tax Court. In fact, if the IRS stonewalls your claim for innocent spouse relief, you can go directly into Tax Court without waiting for a decision from the IRS. Taxpayer Assistance Order. If IRS collection – like a levy - creates undue hardship, Faith Law Firm may obtain a Taxpayer Assistance Order to get relief and allow consideration of alternative collection methods. A Taxpayer Assistance Order may be just the right cure for a Revenue Officer who fails to act in accordance with the language and spirit of the Internal Revenue Manual. You may discover valuable benefit in giving us a call to discuss your situation initially free of charge, or get our free book, How to Get Tax Forgiveness. Can I tell the IRS how to apply my tax payments? Yes, you can. And you should. The IRS routinely misapplies payments. In general, if you are behind on your income taxes, demand that the IRS apply tax payments to the most recent tax liability, and pay the recent tax balance before paying older liability. The reasoning is that the IRS’ right to collect older tax liability expires sooner than recent tax liability. If you entered into an installment agreement, it’s best to have those payments taken out of your checking account. Or else payments that are supposed to be applied to an installment agreement may be applied to another tax. Always use a check or cashier’s check. No money orders. Make copies even if the bank provides a copy for you. Always note of the face of the check, and write legibly, your full legal name, social security number and the tax period for which the payment is to be applied. Always include a cover letter indicating what the payment is for and include the check number, your full legal name, and social security number on the cover letter. If you are paying at the time you are filing your tax return, include Form 1040-V, Payment Voucher to make sure payments are applied correctly. Always make separate payments using separate checks for separate tax accounts. And use a separate cover letter for each separate check. Send each check and cover letter separately by mail. For example, if you are sending two payments and two cover letters, send two separate mailings, each by Certified Mail, with return receipt requested. Always mail by certified mail with return receipt requested. Get our free book, How to Get Tax Forgiveness. It may help you with the big picture. What can I do if I don’t think I owe the IRS what they claim? There is a long list of all the ways you can contest the IRS. The key is to take action and not allow the tax problem to fester. And even if you think it’s “too late” it’s usually not too late. Keep these strategies in mind if you are faced with an IRS demand for payment. You may be able to amend the return. You may be able to file a petition directly with the U.S. Tax Court within 90 days of a deficiency notice, and the tax liability need not be paid until the case is resolved. You may be able to challenge penalties based on good faith and reasonable cause. See IRS Penalty Handbook. You may be able to file a “straight discharge” in bankruptcy and simply wipe out the tax, skipping over any negotiation with the IRS. You may be able to obtain a Taxpayer Assistance Order. You may be able to obtain innocent spouse relief. You have appeal rights in collection due process, equivalent hearings and U.S. Tax Court. This is just a partial list. The point is, you have options! We encourage you to get the free book, The Truth about Tax Settlement and Alternative Tax Solutions. How much time does the IRS have to collect? The time to collect is called the statute of limitations. When that time expires, the tax liability dies with it. It does not matter if the tax is one million dollars or ten cents, when the statute of limitations expires, taxpayer wins. Ten Years to Collect. Section 6502 of the Internal Revenue Code limits the time the IRS can collect to ten years from the date the IRS puts your tax liability on its books, known as the date of assessment. The precise date of assessment can be obtained from the Master File or on column four of an IRS Tax Lien. Warning: Tax problem solving is like a chess game. Each move has consequences. A taxpayer can unknowingly extend the statute of limitations. For example, an offer in compromise extends the statute of limitations for the IRS to collect, so it may be wise to instead choose a settlement alternative that runs out the clock. Furthermore, choosing the right appeal is critically important because certain IRS appeals extend the time to collect, while others do not. For example, in some cases it’s better to intentionally blow the deadline to file a Collection Due Process Appeal, and later file an Equivalent Hearing to prevent extending the deadline to collect. Also, guard against a Revenue Agent’s attempt to trick you into signing a waiver to extend the time to collect. An experienced tax lawyer will protect your interests, and will know what action to take and the best time to take it. You may find hope by giving us a call to discuss your situation initially free of charge, or get our free book, How to Get Tax Forgiveness. How can I avoid a penalty when I can’t pay my income tax? Every year millions of tax payers file the return, but don’t pay the tax due with the return. A failure to pay penalty gets piled on. That’s not what we want for you, so here’s what to do. File Form 1127, and you may save money and avoid headaches. Acceptance of Form 1127, known as an Application for Extension of Time for Payment of Tax, permits a citizen to file the return while being granted an extra six months to pay the tax liability without penalty. The IRS will permit the extension if you exercised reasonable care, and you cannot pay because of circumstances beyond your control. However, if the tax is not paid at the end of six months, penalties will kick in. And as you perhaps know, virtually anyone can get an automatic 6 month period to file an extension by completing Form 4846. However, a penalty is assessed for paying late and for non-payment of the tax. Filing an extension buys time, but it’s a short-term, and often expensive solution. Do not hesitate to discuss your situation initially free of charge, or get our free book, How to Get Tax Forgiveness. How can I see what the IRS sees? Expect to receive your transcript in thirty to sixty days. When the transcripts arrive, you may see portions blacked out, and that information is usually not important. You will see the original tax due as well as penalties and interest. It will tell you whether the IRS can file a lien, levy, or seize your property. You can calculate the time left to collect, also known as the statute of limitations. The transcript reveals when you filed your returns, and if you failed to file a tax return you can see if the IRS filed a return for you. You can determine eligibility for tax elimination through bankruptcy and other tax relief methods. It’s all there to see in the IRS Master Tax File. By the way, the IRS Disclosure Office, which is the central repository of taxpayers’ transcripts and other data, is separate from enforcement and collection divisions. A request for a Master Tax File usually won’t sound the IRS alarm bells. As a rule of thumb, we request transcripts going back ten years. Faith Firm will obtain your Master Tax Transcript free of charge if you are a client, usually in a matter of a few days. To receive greater clarity on tax solutions, call to discuss your situation initially free of charge, or get our free book, How to Get Tax Forgiveness. Can I apply for “innocent spouse relief” if my husband or wife owes past taxes or files for bankruptcy? It’s possible. First understand that under U.S. tax laws, married couples can be held liable for both their own taxes and their spouse’s taxes on any filed joint tax return. You can also be held liable for your spouse’s taxes if you live in one of the nine community property states of Wisconsin, Arizona, California, Idaho, Louisiana, Nevada, New Mexico, Texas, and Washington. So if you filed jointly or live in a community property state, even if the tax incurred was a direct result of one spouse's actions, the other spouse will be equally responsible for paying the tax debt. However, there is some good news. The “innocent spouse” defense acknowledges that filing jointly could force one individual in a relationship to take on more than his or her fair share of financial burden. If one spouse wishes to remain solely liable for the debt, he or she may apply for innocent spouse relief, discharging the “innocent” spouse of both tax and bankruptcy liabilities. Can Bankruptcy Protect an Innocent Spouse? Yes. That’s the short answer. However, this can be a very complicated question, and it depends on a number of factors. In general, using the bankruptcy courts to protect the innocent spouse—and even wipe out the tax debt—has been proven to be a powerful tax solution. Yet in other cases the innocent spouse is better served by avoiding bankruptcy and seeking the assistance of another court, such as the United States Tax Court. It cannot be stressed enough that it’s wise to hire a lawyer who is familiar with both the Internal Revenue Code as well as the Bankruptcy Code. There is too much at stake to leave your tax problem in the hands of the inexperienced. What About Back Taxes for the Innocent Spouse? It would be unfair to hold the innocent spouse accountable for past amounts. The defense is claimed within two years after IRS has begun collection proceedings. Each year of taxes in question were filed via a joint tax return. There is a significant understatement of tax liability due to listings by the non-innocent spouse on each return. The innocent spouse did not know and should not have known about the non-innocent spouse’s liability. Is There Any Way to Protect My Spouse From My Debts? Yes, legal tax strategies can protect one spouse. We understand that you want to protect your loved ones from an unfair financial burden. Faith Law Firm can help you. We can find a solution that will allow your spouse to pay as little tax as possible, and keep as much of his or her assets as legally possible. The goal is to prevent your tax problem from coming between you and your family. Click the contact link on this page to have us examine your case today.